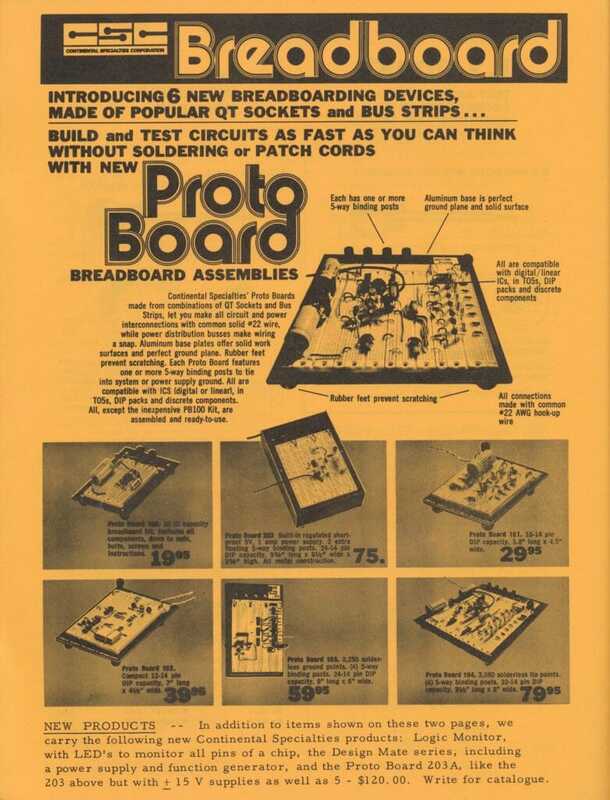 When I was 23, I began the second year of my mail-order electronics parts business, operating out of a 2-bedroom apartment in Louisville. This was profoundly liberating, especially as I had just taken the huge leap of quitting my job as a field engineer for Singer Business Machines. 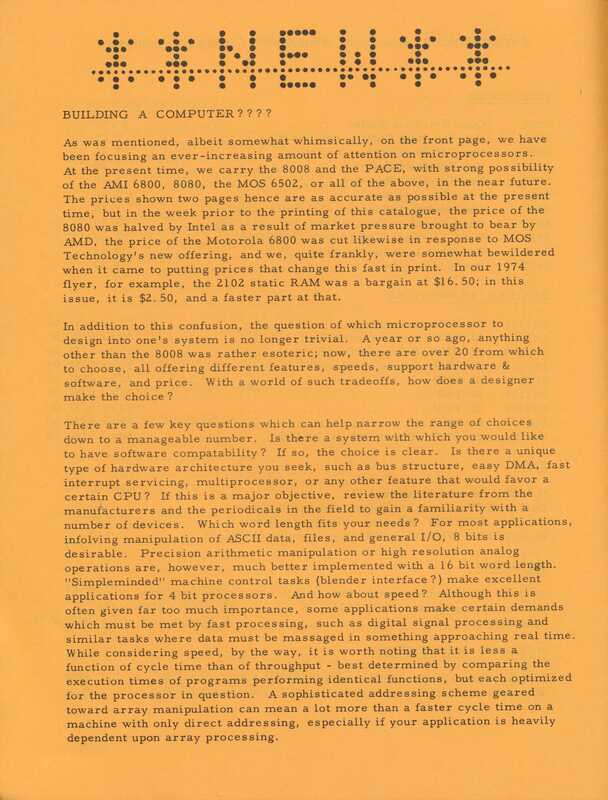 My own work was much more exciting; I had built one of the first personal computers (which came alive on October 31, 1974) and was spending all my energy on related projects… more machines, music synthesis, graphics, an assembler/monitor/editor called CYMON, and even a few fumbling attempts at relationships. 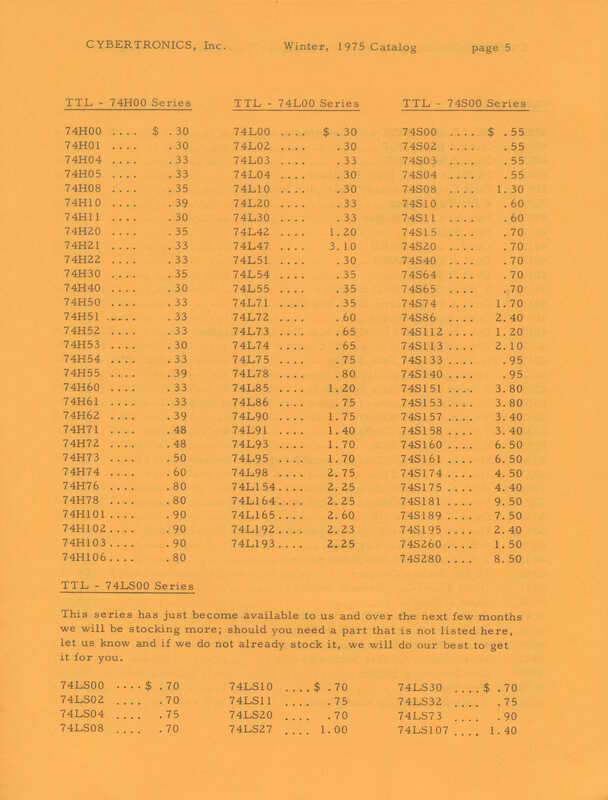 Where in all that would I have time for a full-time job? 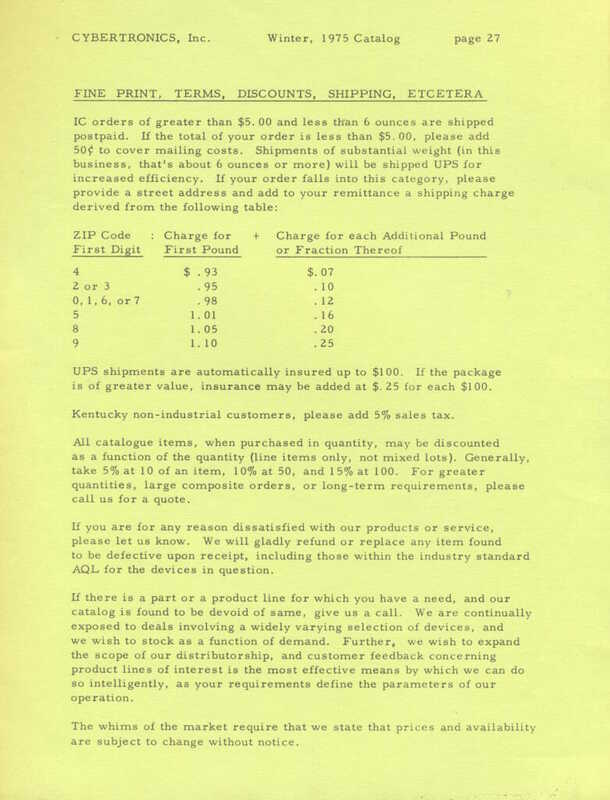 Of course, I had to make money somehow, and a chance encounter in 1974 was the key. I spent a couple months in the Bay Area to attend Singer Business Machines field engineering school, living in Oakland’s Edgewater Hyatt and commuting to San Leandro. 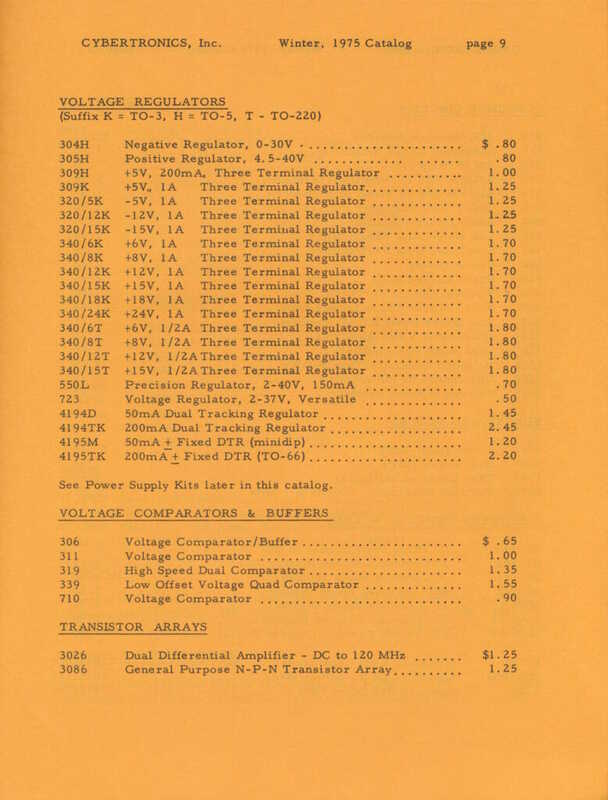 “System Ten” training was boring and their architecture was doomed, but I quickly found the surplus Mecca of Mike Quinn Electronics in Oakland and began hanging out at the huge funky quonset hut near the airport, complete with a gruff guy named Bear at the checkout and a glittering gold mine of gizmology in every aisle. 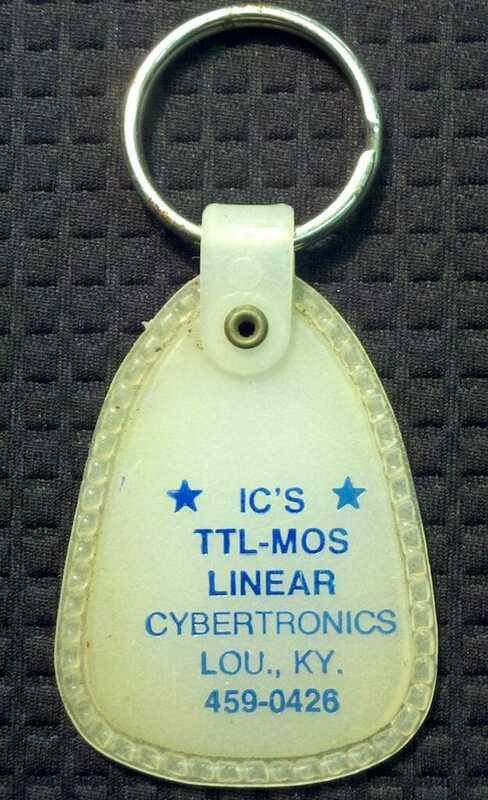 Before long I had set up a lab in my poolside hotel room and was teaching myself TTL design, ALU math, memory architectures, interfacing… doubtless driving housekeeping crazy with my blinky tangles of geeky goodness spread across the makeshift workbench, carpet littered with wire strippings and solder splashes, Signetics and TI databooks in the bathroom. 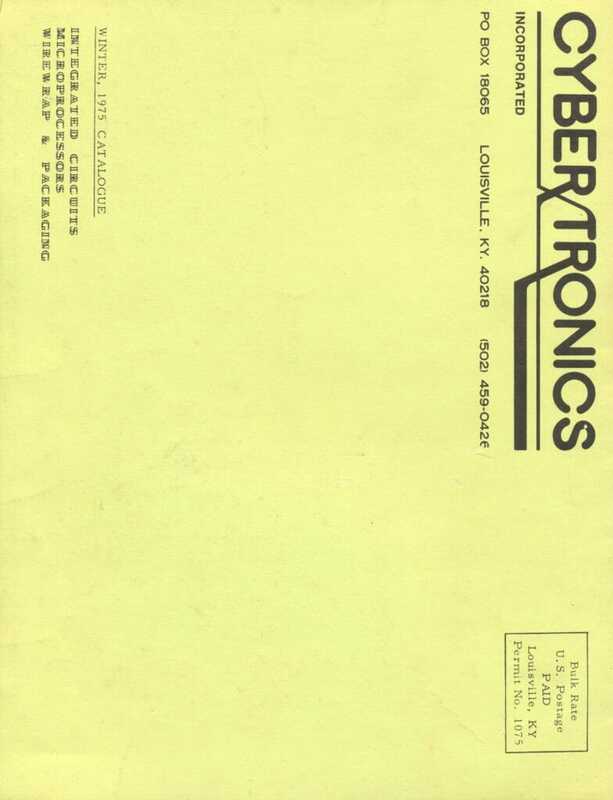 Somewhere in there my obsessive geekery caught the interest of the late Bill Godbout, and we became friends… and by the time I returned home to Louisville I had the connections to set up a chip business that I playfully called Cybertronic Systems, running out of my apartment on evenings and weekends. 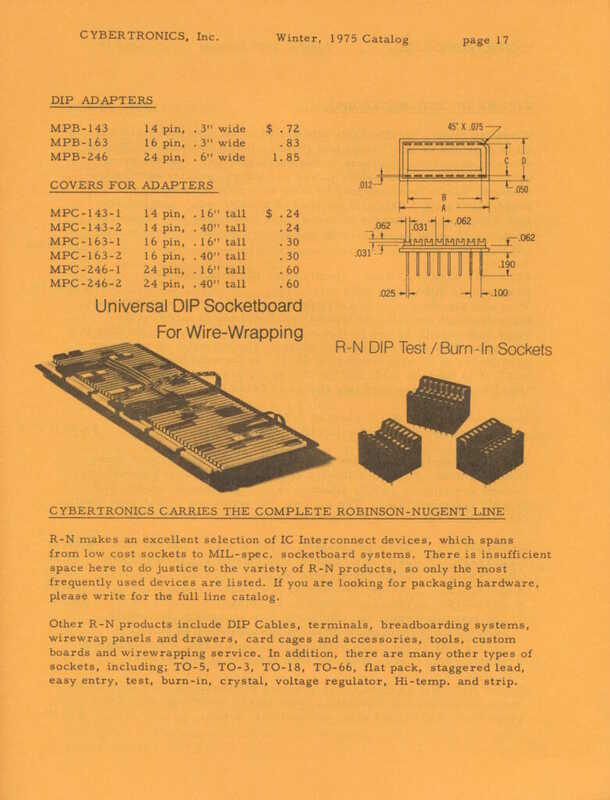 The timing was perfect, and I had walk-in and mail-order traffic, complete with a playful catalog, doling out G- and Q- rebranded chips in little plastic bags to fellow silicon junkies, quite arousing the suspicion of apartment complex neighbors. Bill helped me start from zero by being tolerant of tiny orders and slow payment while I built up my chip inventory with a 35% markup… then adding to the product line with Augat wirewrap panels, Kynar, Power One supplies, surplus treasures, and dealerships with lots of vendors. Meanwhile, I was building and writing tools for my homebrew 8008 system, experimenting with music synthesis and graphics, starting a computer club, writing articles, and generally burning the candle at both ends with a youthful energy that I can barely even remember now. 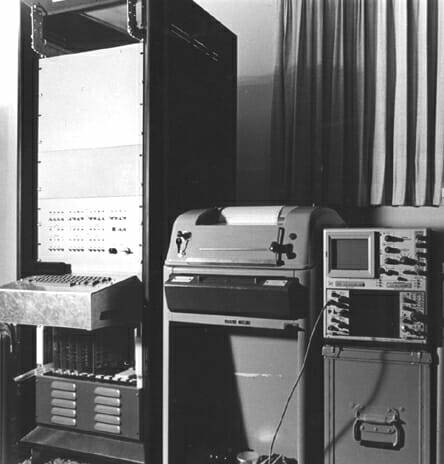 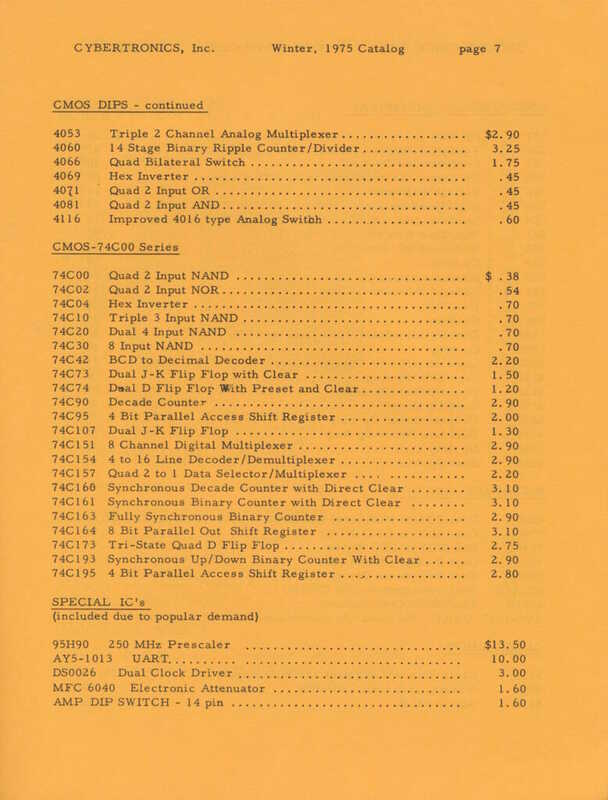 My homebrew 8008 machine was a powerful business tool for its time, with the customer list maintained on fanfold paper tape that I read and wrote with surplus Friden equipment interfaced to the system. 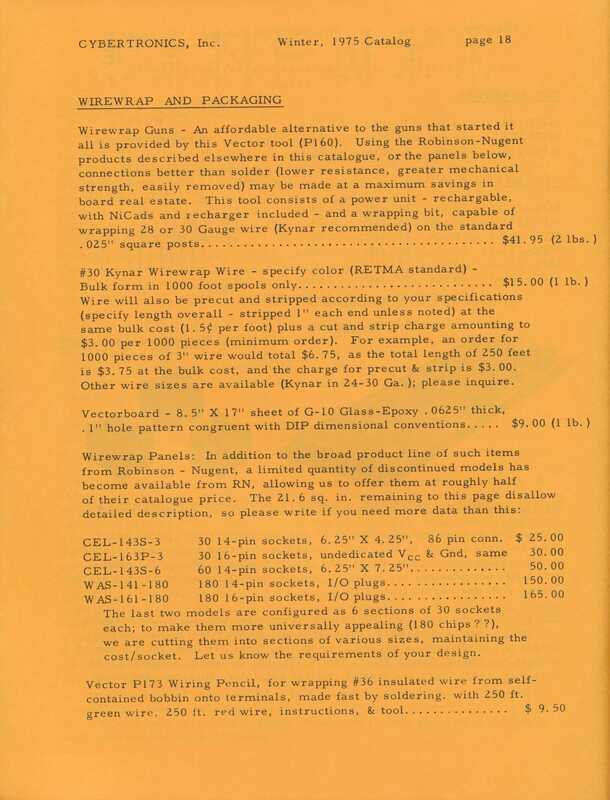 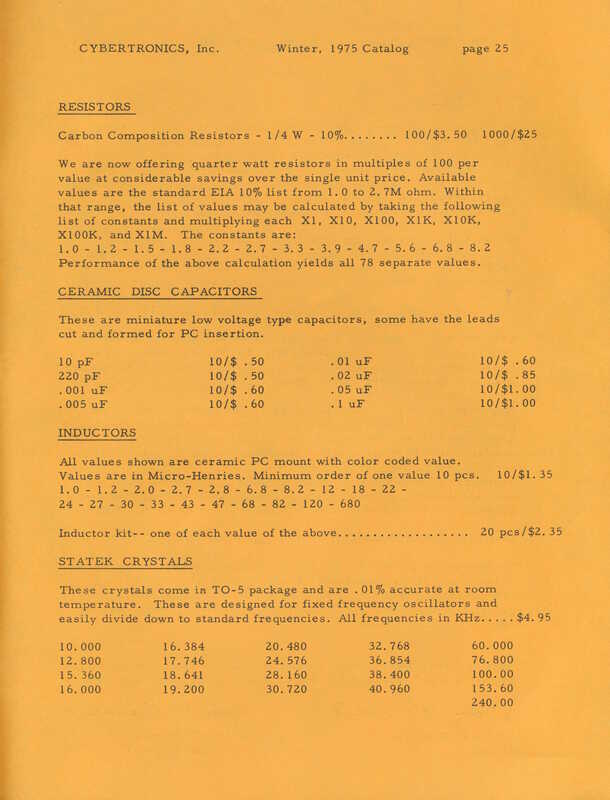 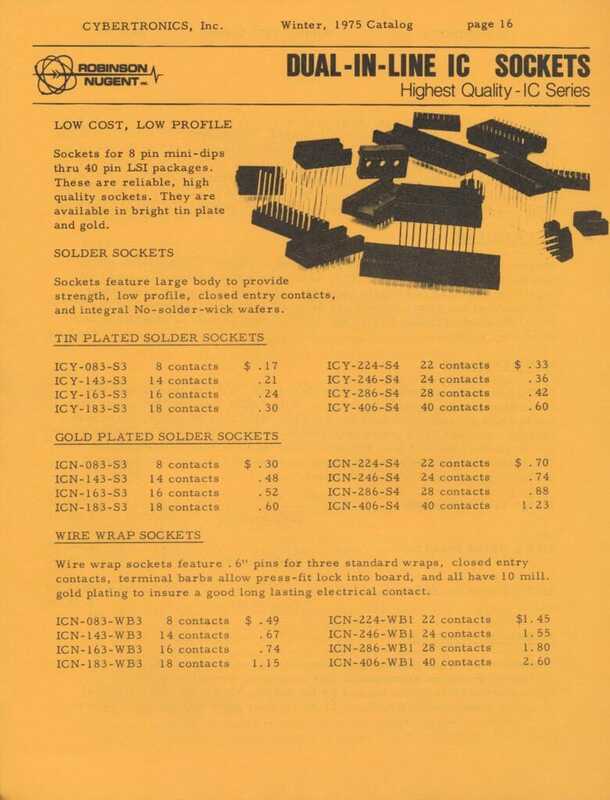 The Model 28RO teletype let me print pin-feed catalog mailers directly from my database… all written in hand-coded assembler language, and interfaced via wire-wrapped boards made with the products I was selling. It was a magical time. 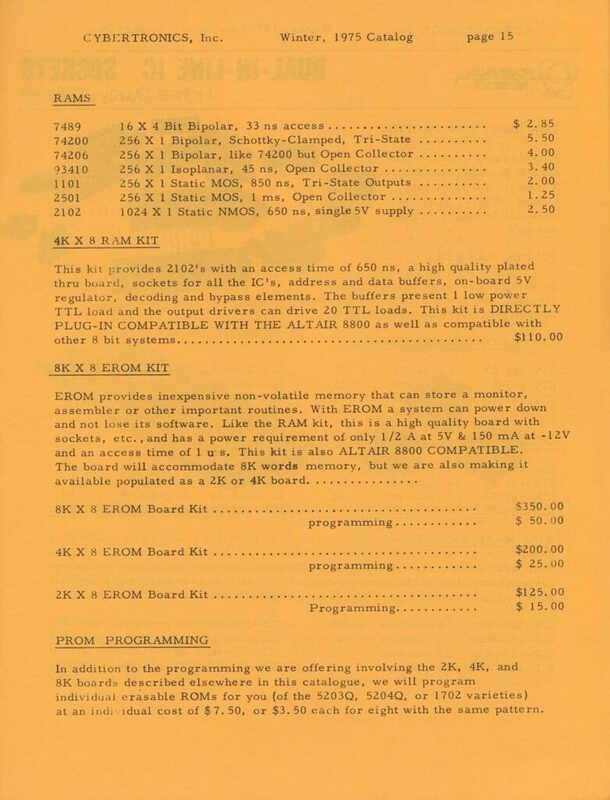 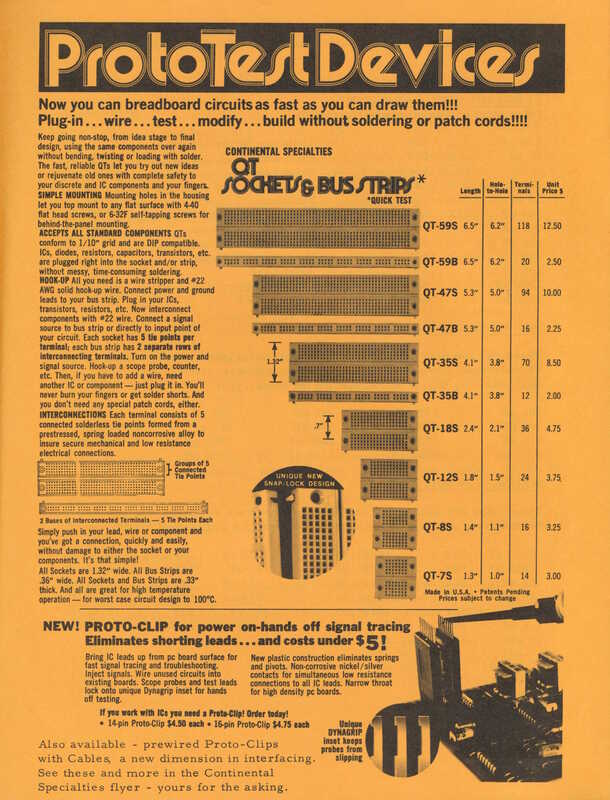 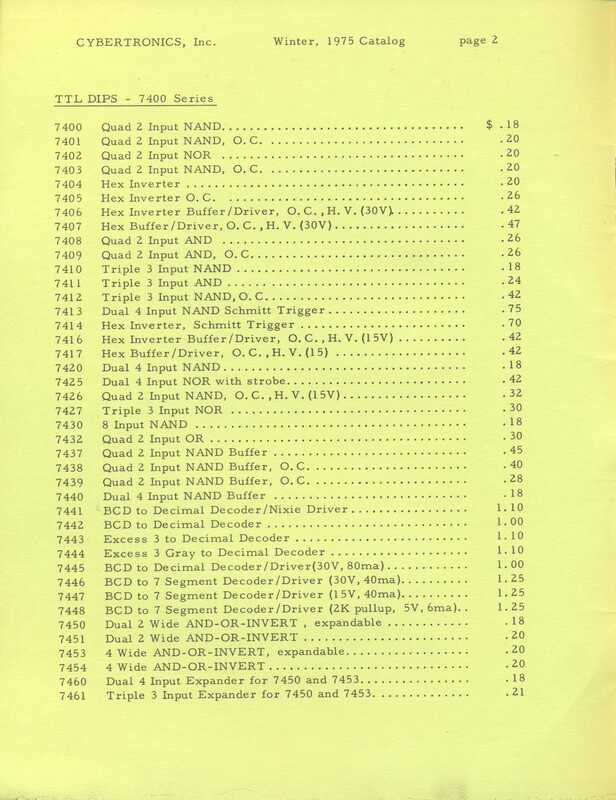 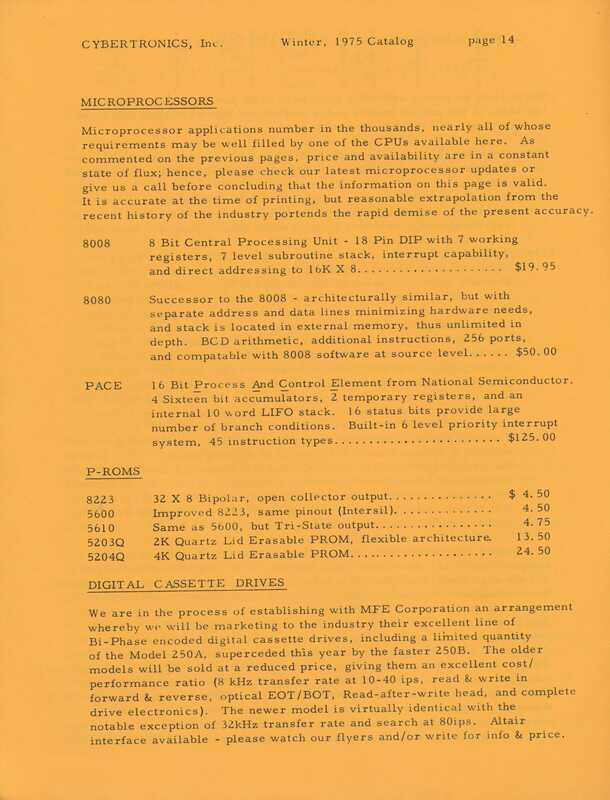 By late 1975, the microprocessor revolution was in full swing. 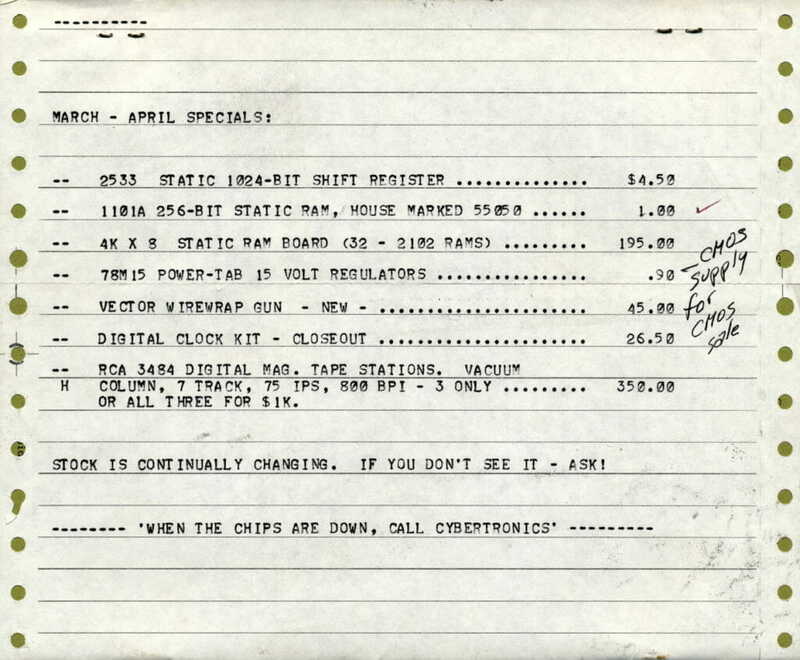 Prices were dropping, new chips were appearing, and a whole new breed of hobbyists were diving in. 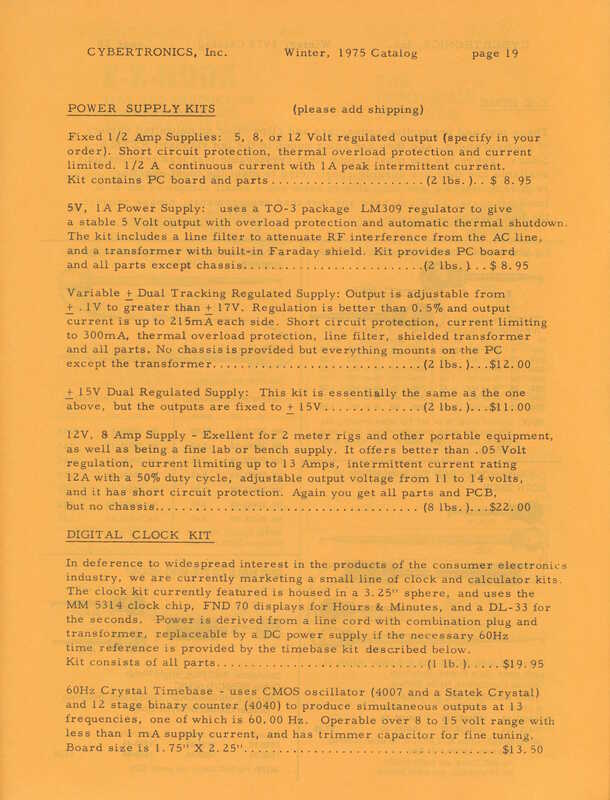 Commercial boxes (like the Altair) burst onto the scene and made the technology much more widely available, though my own strongest interest remained focused on homebrew until the S-100 alternatives became too seductive to ignore. 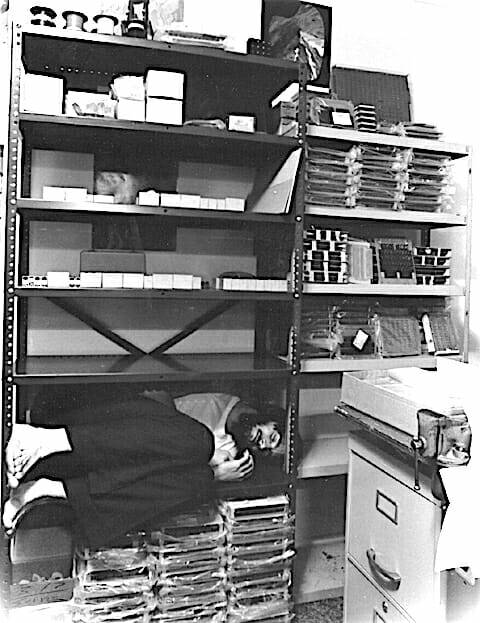 As the years passed, I flew out to California occasionally to cover conferences for Byte or prowl trade shows while immersing myself in the culture of Silicon Valley… dizzying with so many kindred spirits… and Bill Godbout was always there in the background, an avuncular and mysterious presence, sometimes grumpy, an endless source of stories and hints of top-secret intrigue, generous and tolerant, well-connected with interesting people whom I came to know… folks who were pivotal industry forces in those early days. He added Cybertronics to a few of his Kilobaud ads to help build the biz, and even forgave some debt, not without stern rebuke, when I spread myself too thin by trying to be all things to all people: mail-order parts business, computer store, consulting firm, surplus outlet, and tech journalist. Had I only known. 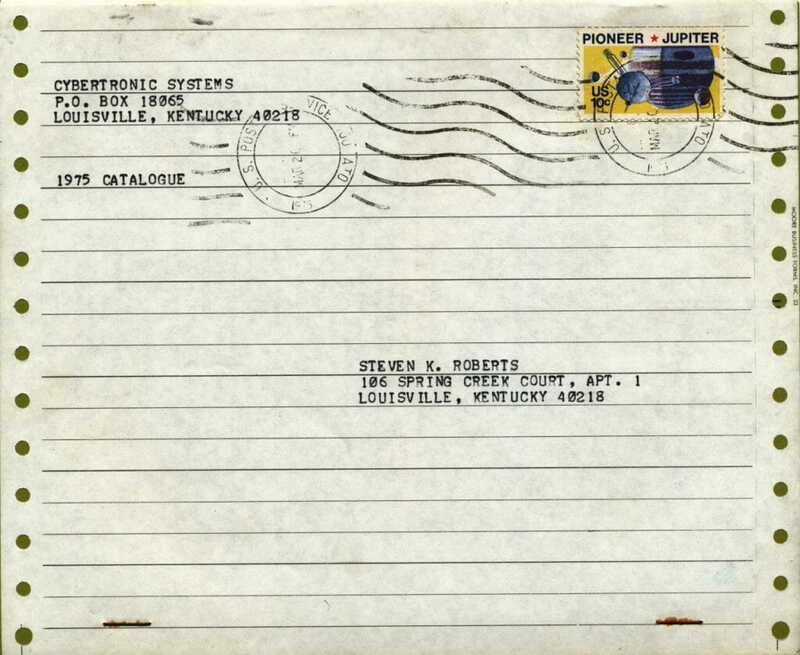 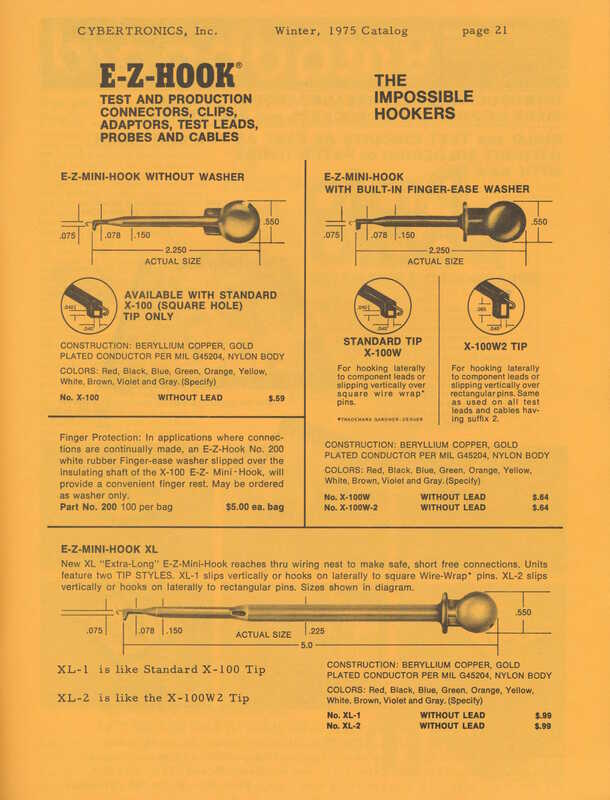 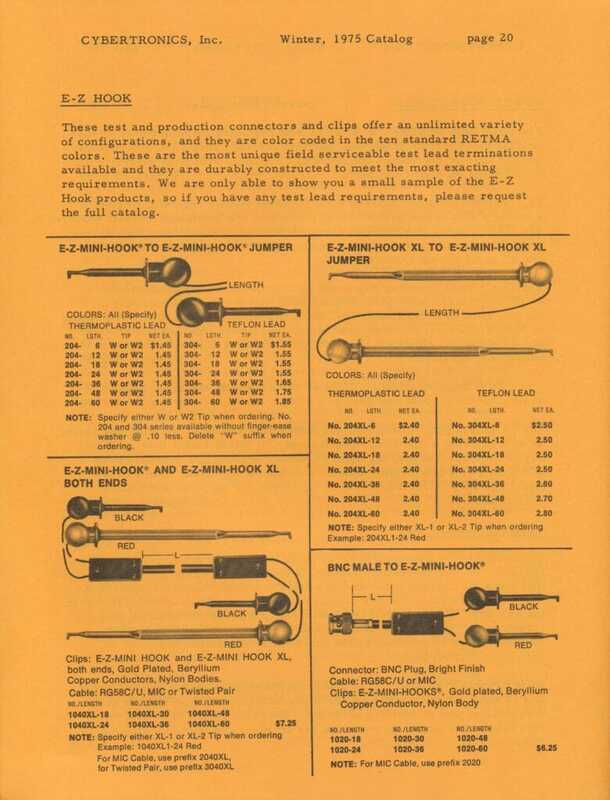 In 1977, after a disastrous HUGE catalog that never paid for itself, I abandoned the parts business entirely and dove full-time into consulting and writing. 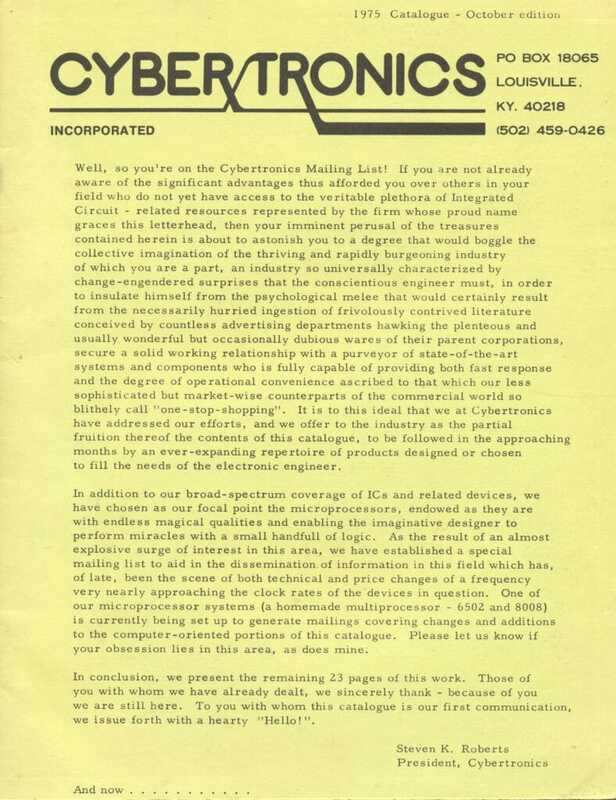 Well, so you’re on the Cybertronics Mailing List! 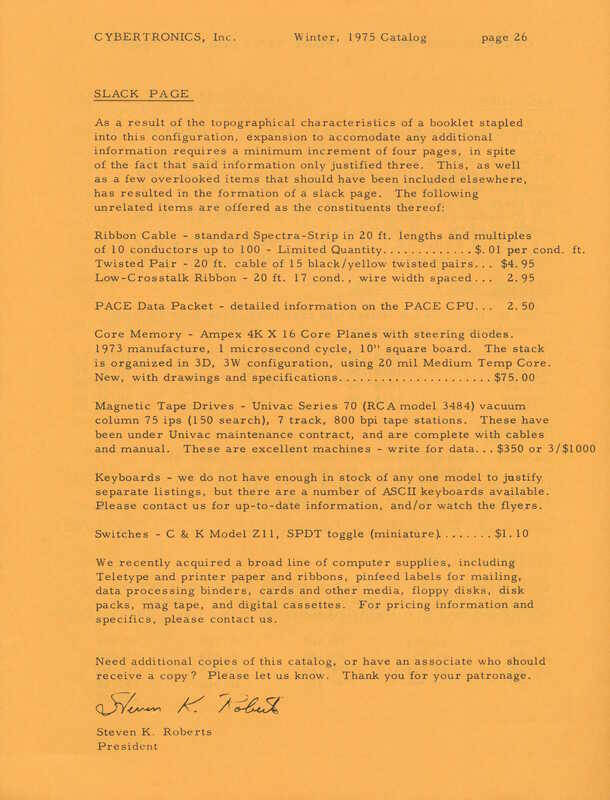 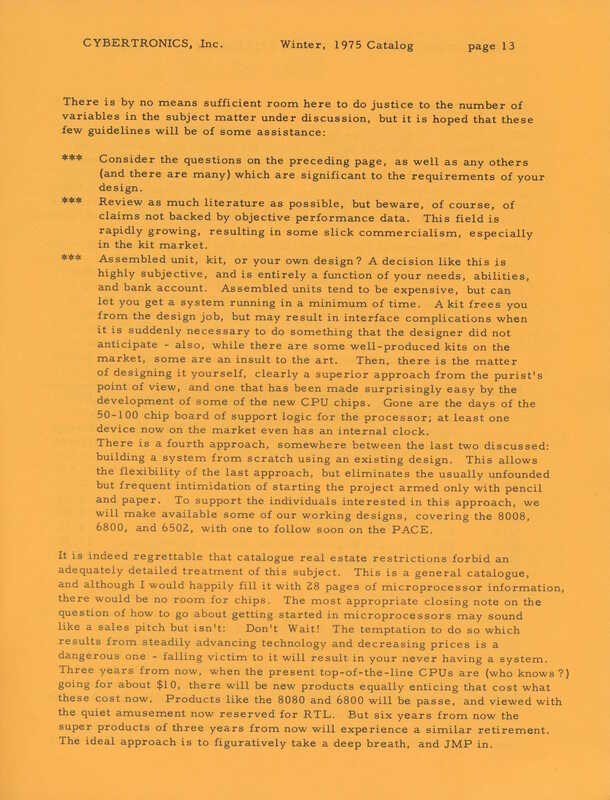 If you are not already aware of the significant advantages thus afforded you over others in your field who do not yet have access to the veritable plethora of Integrated Circuit – related resources represented by the firm whose proud name graces this letterhead, then your imminent perusal of the treasures contained herein is about to astonish you to a degree that would boggle the collective imagination of the thriving and rapidly burgeoning industry of which you are a part, an industry so universally characterized by change-engendered surprises that the conscientious engineer must, in order to insulate himself from the psychological melee that would certainly result from the necessarily hurried ingestion of frivolously contrived literature conceived by countless advertising departments hawking the plenteous and usually wonderful but occasionally dubious wares of their parent corporations, secure a solid working relationship with a purveyor of state-of-the-art systems and components who is fully capable of providing both fast response and the degree of operational convenience ascribed to that which our less sophisticated but market-wise counterparts of the commercial world so blithely call “one-stop-shopping.” It is to this ideal that we at Cybertronics have addressed our efforts, and we offer to the industry as the partial fruition thereof the contents of this catalogue, to be followed in the approaching months by an ever-expanding repertoire of products designed or chosen to fill the needs of the electronic engineer. 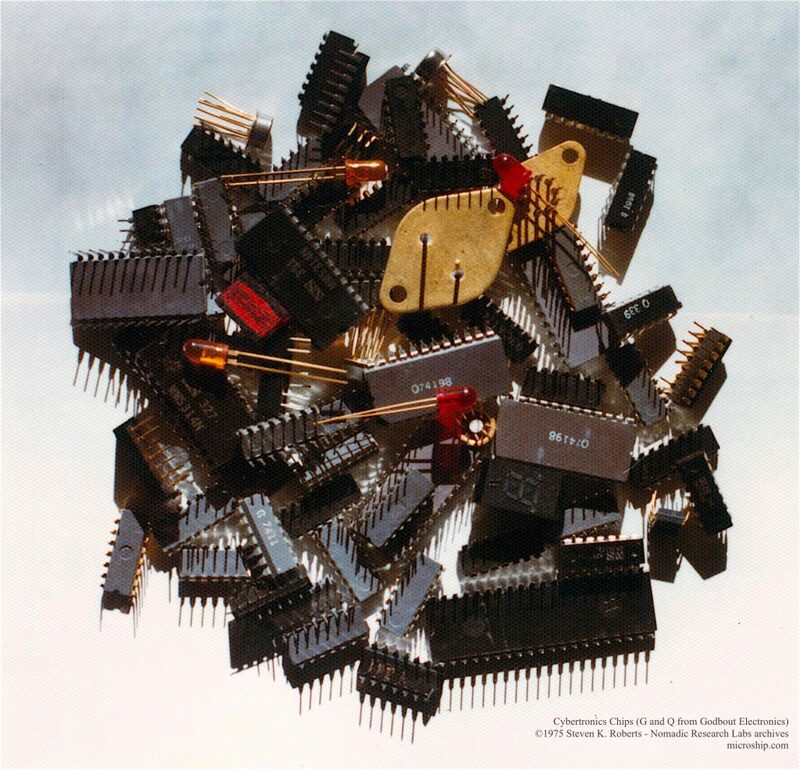 In addition to our broad-spectrum coverage of ICs and related devices, we have chosen as our focal point the microprocessors, endowed as they are with endless magical qualities and enabling the imaginative designer to perform miracles with a small handful of logic. As the result of an almost explosive surge of interest in this area, we have established a special mailing list to aid in the dissemination of information in this field which has, of late, been the scene of both technical and price changes of a frequency very nearly approaching the clock rates of the devices in question. 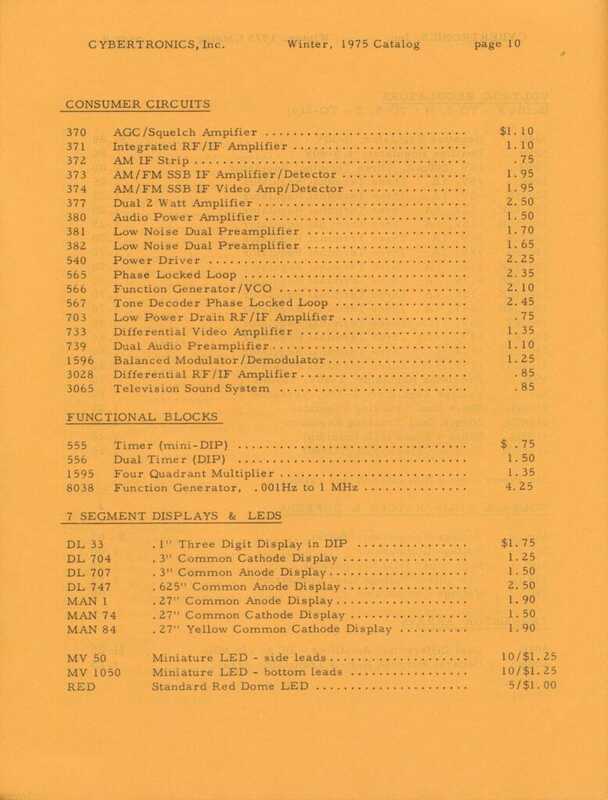 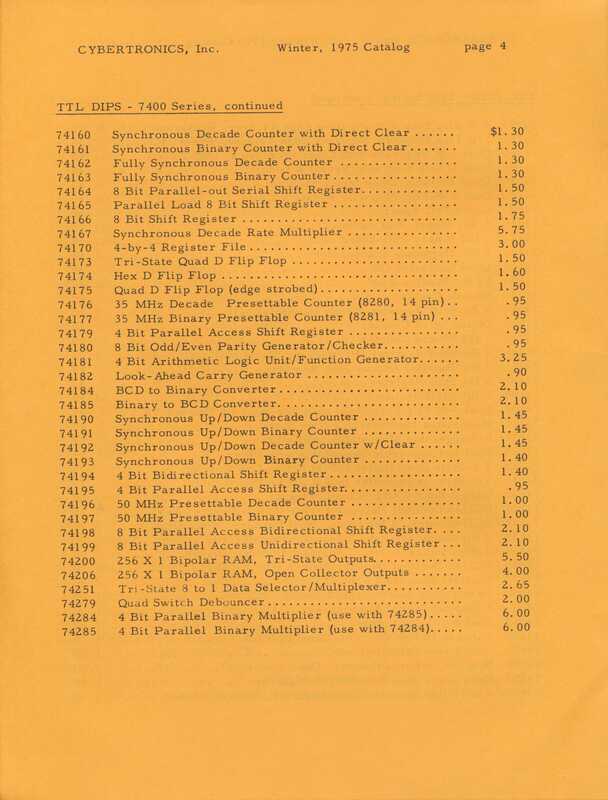 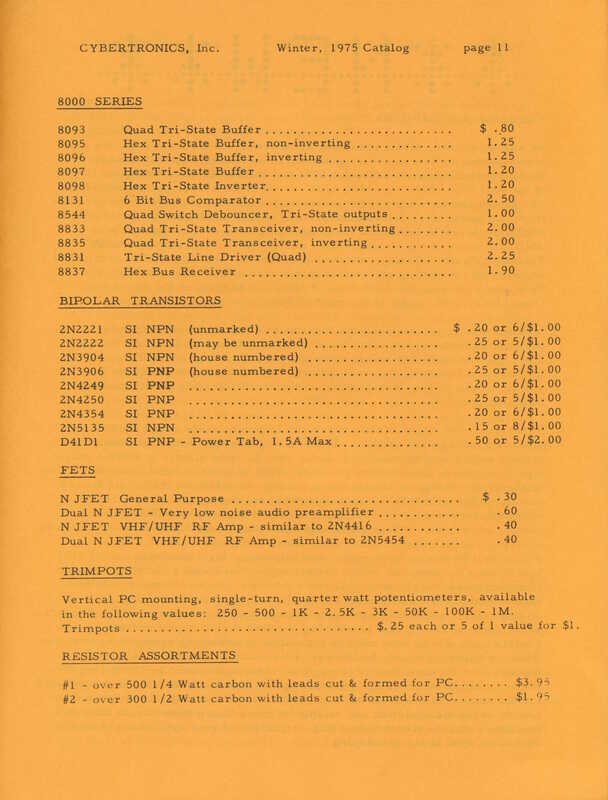 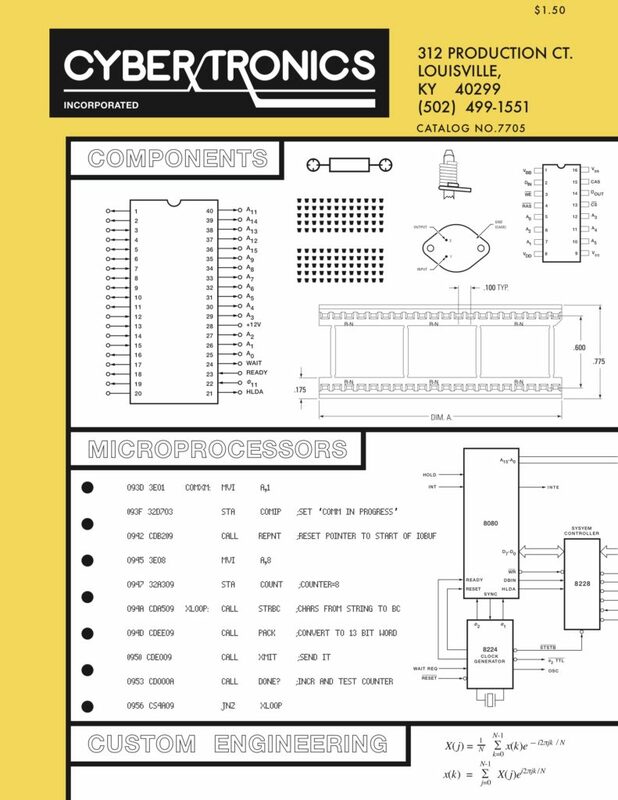 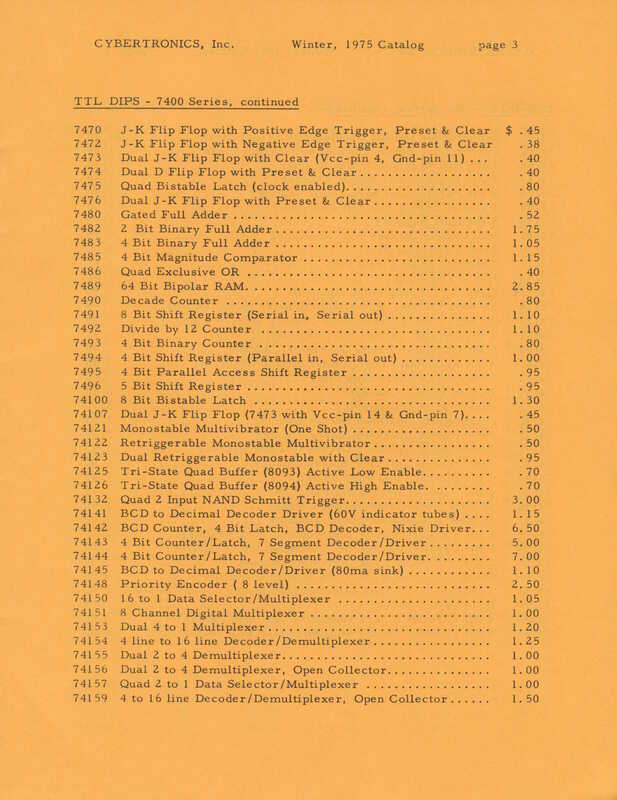 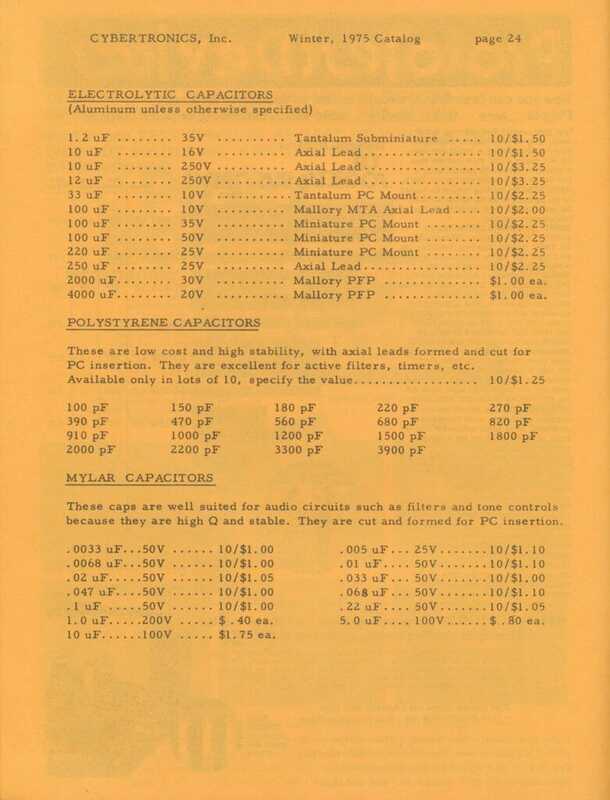 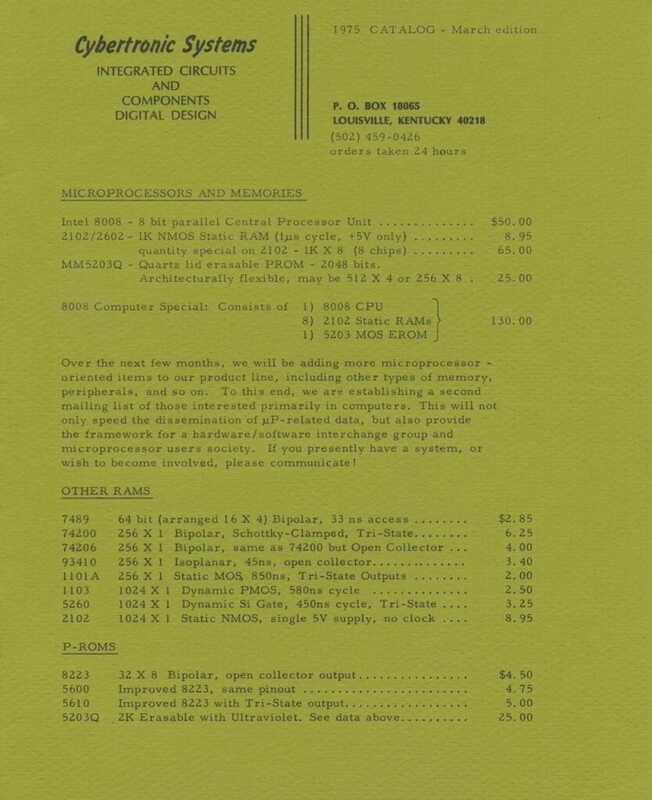 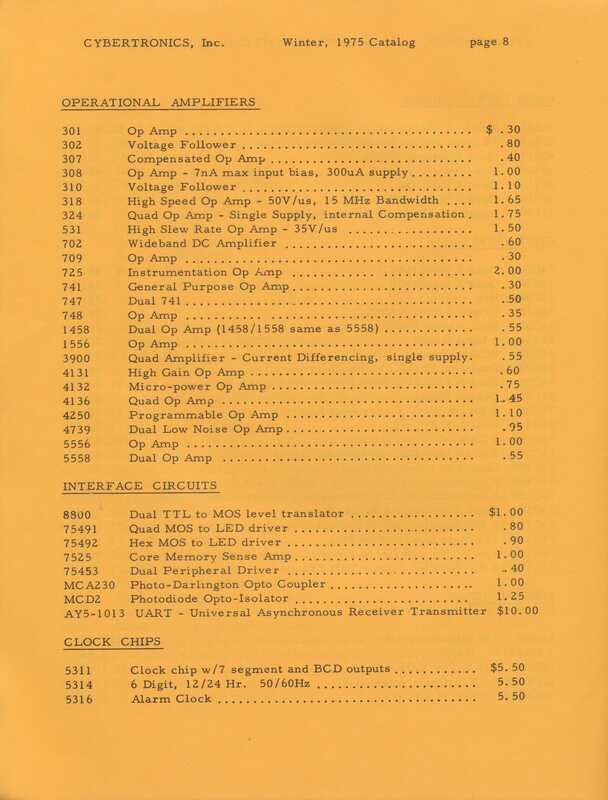 One of our microprocessor systems (a homemade multiprocessor – 6502 and 8008) is currently being set up to generate mailings covering changes and additions to the computer-oriented portions of this catalogue. 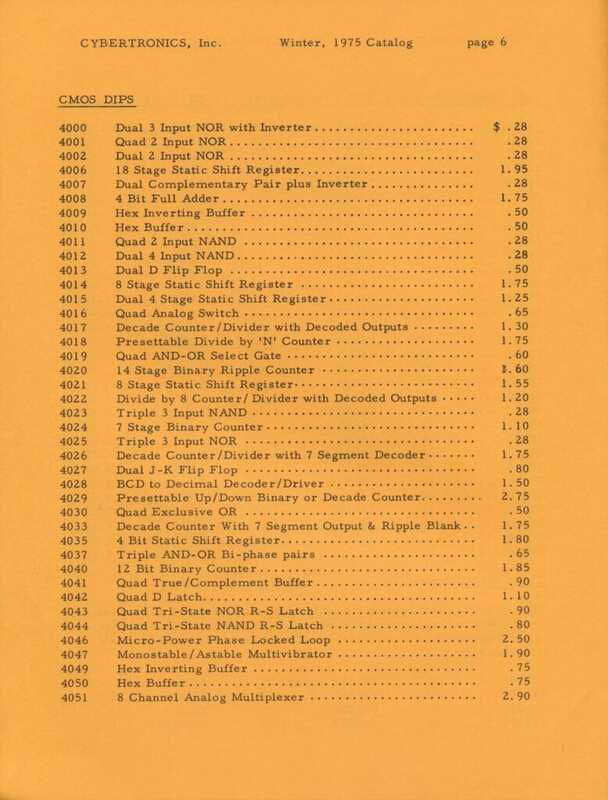 Please let us know if your obsession lies in this area, as does mine.